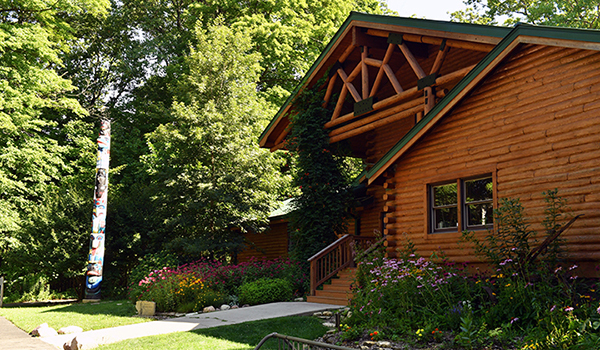 If you enjoy nature, be sure to visit the Pilcher Park Nature Center. Bring your family out for hiking, biking or cross country skiing. The Nature Center offers a wide variety of scenic trails. There is a lot to learn about the great outdoors, and Pilcher Park is just the place. Rent the Nature Center, bring a group for an overnight or field trip, or have your company picnic in the park. We have catering services available. Pilcher Park offers playground areas, picnic grounds, scenic hiking trails, bicycle trails, and cross country ski trails. Over 640 acres of land provide a habitat for wildlife and the perfect environment for outdoor recreation. Pilcher Park Nature Center has skis, poles, and boots in ladies', men's and kids' sizes to rent for $10 for 1 hour. Some of the trails in Pilcher Park are groomed by the Joliet Nordic Ski Club. Call 815-741-7277 with questions.